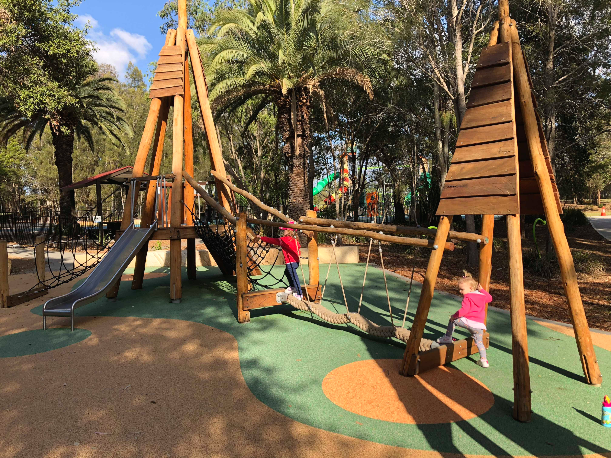 If you haven’t yet been to visit Strathfield Park, then you are going to be blown away with this amazing new playground. 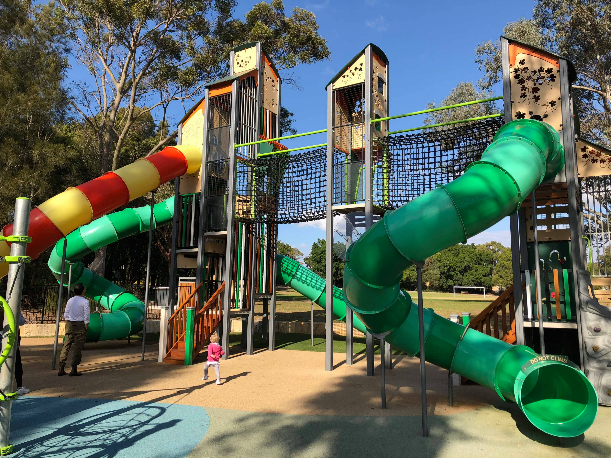 What kind of equipment is at Strathfield Park? What age would enjoy this playground? 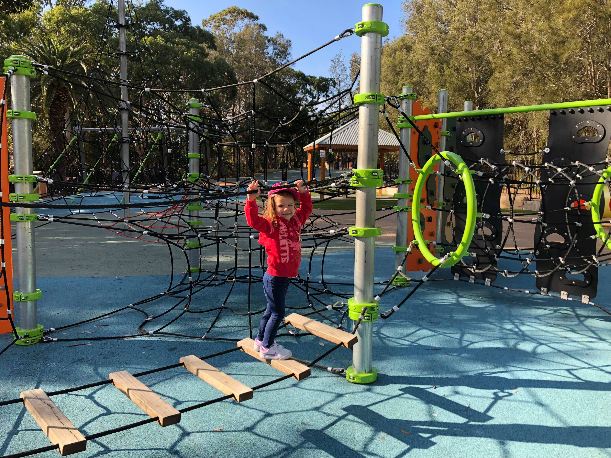 This playground caters for all ages with higher climbing equipment and rope bridges for the bigger kids as well as multiple curly slides, some faster than others. 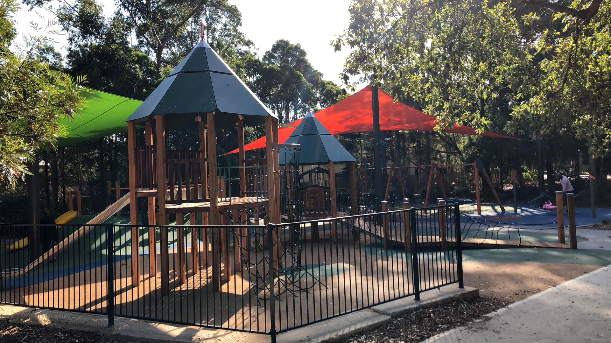 There is also a fenced in toddler friendly play area with a smaller slide, shade sails, a bucket swing and a spider web swing. 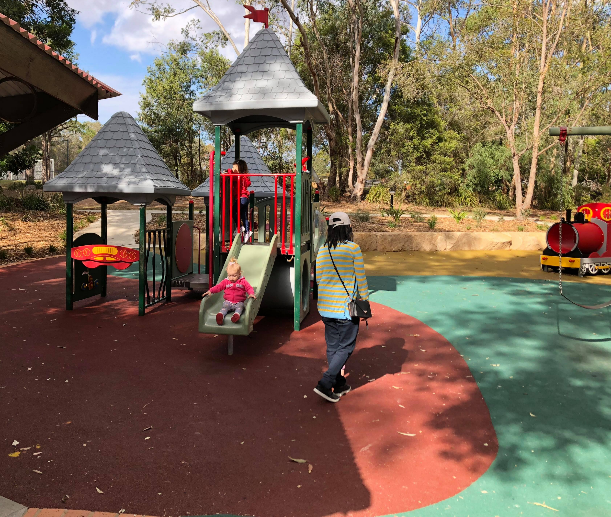 This is the kind of park you can enjoy at any age and has plenty to do so the kids aren’t going to be waiting long to have a turn on a piece of play equipment. 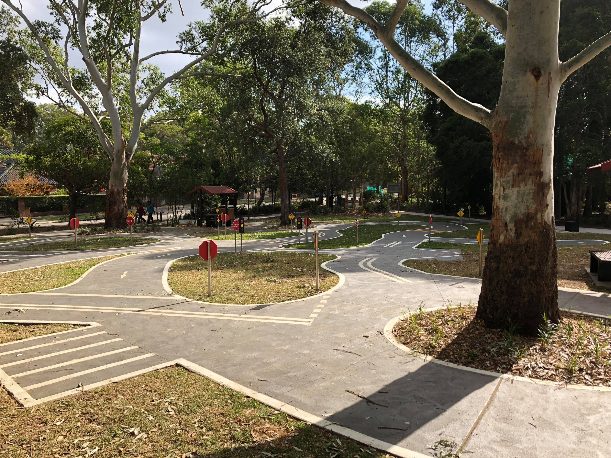 Pack a bike or scooter to take to Strathfield Park and enjoy the traffic school bike track which includes mini stop signs and pedestrian crossings. There are also picnic tables with shade available so bring some lunch and make a day of it! Thank you to the Boumelhem tribe for their recommendation! Looking for a bite to eat after the park? Head here!